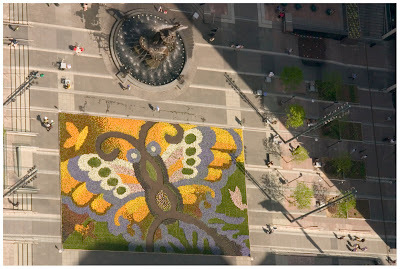 The Flower Carpet that has been on Fountain Square since April 7th will be going away this Sunday (4/27). The best part about it is that they will be giving the flowers away to the public for free. The public is free to line up prior to the giveaway that will run from 7am-10am (or until the plants are gone). Each person will be given a crate that holds six pots. If you would like more than one crate you are permitted to get back in line for another.